SuperyachtNews.com - Crew - Batten down the hatches! Luxury yachts and those on board naturally face a degree of risk wherever they cruise or disembark. 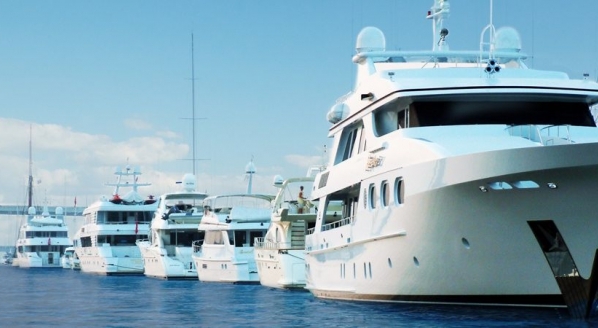 And as the fleet continues to grow, there is a greater distribution of yachts in popular cruising hubs and cities, but also, unfamiliar and ecologically diverse locations, which have become more attractive as yacht users grow in ambition and their products become more capable of traversing the oceans. It is absolutely essential, therefore, that yachts are prepared for unfavourable scenarios and take precautionary measures. An effective tool that yachts can add to their arsenal to mitigate such risk is PGI Risk Portal, an intelligence service provider that delivers up-to-date information and analysis on geo-political events, maritime security incidents and business-relevant threats worldwide. PGI Group was originally setup by a group of British Marines – who set up PVI (Protection Vessel International) – to drive out piracy, although they quickly identified that the intelligence information they were providing would also be valuable for businesses that desired detailed background checks of locations before setting up operations. PGI Risk Portal is now used by global energy companies, shipping companies and multinationals, and is also available to superyachts. 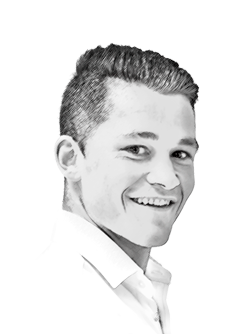 “The fundamental focus of our intelligence and risk mitigation services are the security of the three most important things in the superyacht industry: the crew, the guests and the yacht,” explains Murray Bishop, business development manager of Halcyon Superyacht Security, part of the PGI Group. “Each of these three has a different risk and security profile – a yacht, for instance, won’t be directly affected by anything half a mile in land, but the crew and guests might, so we provide three different footprints for a single area.” A lot of the yachts that are doing the Antibes to St. Tropez milk run know the route inside out, however, as Bishop exemplifies, a charterer who is paying €100,000-plus for an all-encompassing service would theoretically expect precautionary due diligence on all locations, regardless of the regularity of other yacht traffic. The Islamic Revolutionary Guard Corps (IRGC) confirmed that it had held war games in the Gulf in recent days after US officials said they suspected Iran had commenced naval exercises in the area. The IRGC said the exercise aimed at protecting the safety of the international waterway. The statement comes amid heightened tensions between Washington and Tehran ahead of the re-imposition of US sanctions on Iran on 7 August. The Israeli navy intercepted a Swedish-flagged activist boat in international waters bound for Gaza. The military released a statement that the boat violated the naval blockade and that any humanitarian aid should be directed through Ashdod port. Activists said the boat was carrying medical supplies. The UN has called for the blockade to be lifted to due to the deteriorating humanitarian situation in Gaza. Myanmar has scaled back plans for a Chinese-funded port on its western coast due to debt concerns, a senior government official said. The initial cost of USD 7.3 bn for the Kyauk Pyu deep-water port has reportedly been revised to about USD 1.3 bn. China's state-run CITIC Group, the main developer of the project, said negotiations were ongoing. The original plan was to develop around 10 berths at sea port to accommodate bigger oil tankers, but the size will now be revised to only two berths. The Kyauk Pyu port is a key part of Beijing's Belt and Road initiative, aimed at expanding trade links across the world. The incident is the latest in a number of Chinese-backed projects that have come under scrutiny over debt concerns in countries across Asia including Sri Lanka, Pakistan and Malaysia. China and the Association of Southeast Asian Nations (ASEAN) have agreed on a draft code of conduct that will be the basis for negotiations over the disputed South China Sea. The agreement was announced at a meeting of ASEAN foreign ministers in Singapore, after being confirmed at a China-ASEAN meeting in June. The document is an attempt to reduce tensions that have risen as China has built artificial islands and military installations in the disputed waters also claimed by Malaysia, the Philippines, Vietnam and Brunei. The announcement comes after China and other countries have sent military vessels to the disputed waters, increasing the risk of a major confrontation in the area. Naval forces seized two Peruvian fishing boats illegally fishing in Chilean waters 498 km south of Antofagasta. The navy escorted the two vessels to the Port of Arcia, where crew were handed over to authorities. The navy has sought to step up operations against illegal fishing in its territorial waters in recent years. The navy intercepted a semi-submersible submarine carrying 748 kg of cocaine near Gorgona island. Authorities arrested four Colombian crew members. Reports did not specify the group affiliation of the arrested suspects. Authorities regularly seize cocaine shipments intended for Central America and the US.